Pricing starting at $90 for general admission and $110 for reserved. Reserved and general admission All Tournament Passes go on sale. Pricing starts at $90 plus fees and up. Tickets to single sessions go on sale. Pricing starts at $15 plus fees and up. The Pac-12 Women's Basketball Tournament is located in Seattle, WA at KeyArena - home of the WNBA's Seattle Storm. 3. Are courtside seats available? VIP courtside seating is available for purchase. Row AA courtside seats will be sold only by strip for $325. Courtside seats for rows BB-DD will be $125 - $175 for an all-tournament pass. When purchasing online, Ticketmaster will place you in the best available seats in the price point you choose. 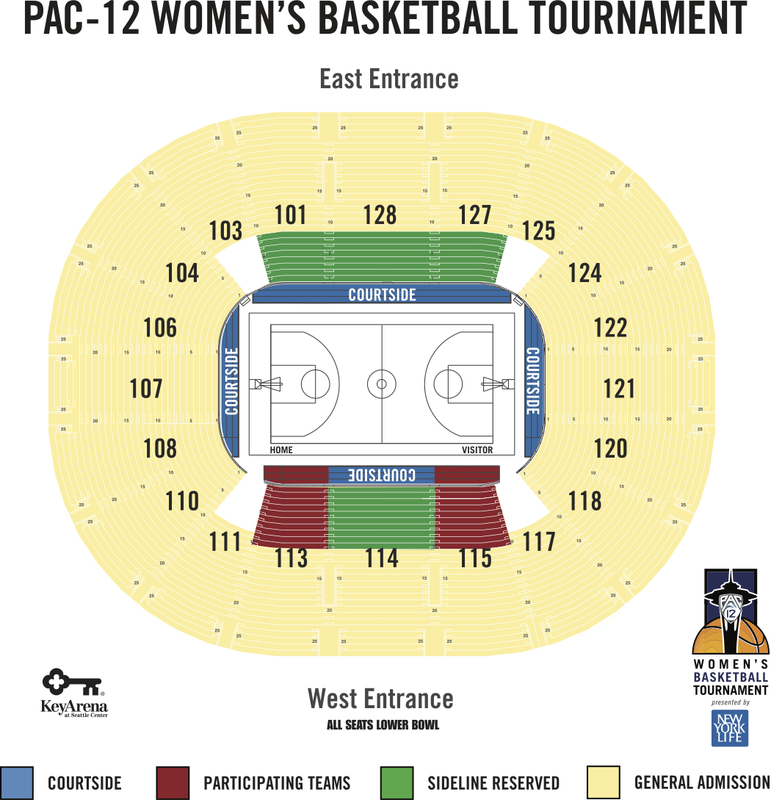 You will need to call 1-855-MYPAC12 to request a specific location in the courtside or reserved seating area. 4. I want to sit near fans from my favorite Pac-12 school. How can I do this?